With the support of NES’ purpose built facilities in Sheffield, UK, Creavey Seal can rest assured on the efficient and seamless production of our sealing solutions. We also host a wide-range of download to help you in your decision making process. This includes Product / Market information, Material Compound Datasheets, Guidelines & more. Take a look at the Downloads section to see what you could learn about our products. 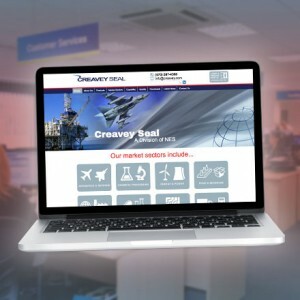 Also, Creavey Seal will soon be launching the new Customer Portal allowing our users to log in to the site and download all the information they need about our products, order and more! We are busy working under the bonnet on this so watch this space!!! We welcome any feedback so if you would like to pass us a comment, please contact us or alternatively fill out a contact form and a member of our team will get back to you. Thanks for taking the time to read and we hope you enjoy your visit!